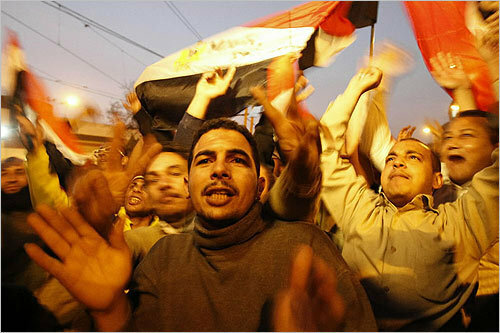 The people of Egypt have achieved a tremendous victory, one that has inspired the whole world to celebrate. The possibilities it raises for peace and democracy not only give hope to a region beset by authoritarian rule and Western intervention, but prove that nonviolent action is alive and well in the Muslim world. Unfortunately, this latter point is often lost or overlooked by our major media outlets, whose experts and analysts have so little knowledge of the history and dynamics of nonviolence that they typically don’t know how to interpret what they’ve just seen. To counter this shortcoming, Waging Nonviolence has asked a wide range of eminent thinkers to discuss their initial thoughts on this historic moment, the challenges ahead and what it all means for the future of nonviolent action. What do you think, above all, made this victory possible? “Unity, planning and nonviolent discipline, those universal principles for success. Unity activities where all of organizations have agreed to remove their individual symbols (including the cleanched fist of April the 6th) and replace them with only Egyptian flags which we could see in the later stages of the protest was inspiring. Not to mention impressive demonstrations of religious unity, Christian pro-democracy protesters protecting their Muslim collegues while they are praying, or thousands of Muslims greeting Christians who were having their ritual in the square reached and impressed the world as they happened in front of the cameras. Planning for the overtaking of the pillars of support, starting with the police, which was overwhelmed in first few days, winning labour unions and workers, making military first neutral and then supportive and shifting international support by peaceful and inspiring protest and tremendous courage. “For me, this sums it up: The wisdom to seize the moment. This does not mean spontaneous action or hasty organizing and decision making. It means many years of study and planning among different pockets of society — some dress-rehearsals and failures – all which lead up to seizing an opportunity. All of us in the field of civil resistance are fully aware that Egyptian organizers had been planning for many years. There was Facebook activism on a grand scale, and many people were doing their part to expose regime corruption and police abuses. What made the recent victory possible was the planning done around the January 25th protest, seizing on Tunisia’s recent victory, and gauging the local public’s discontent against regional hopefulness. Organizers of the April 6th movement, bloggers who had been reporting on human rights violations, internet technicians who worked for internet freedom, and a vibrant civil society including translators and nonviolent educators knew nonviolent theory and had lots of practice, and people knew and trusted them. All of this takes years of effort.